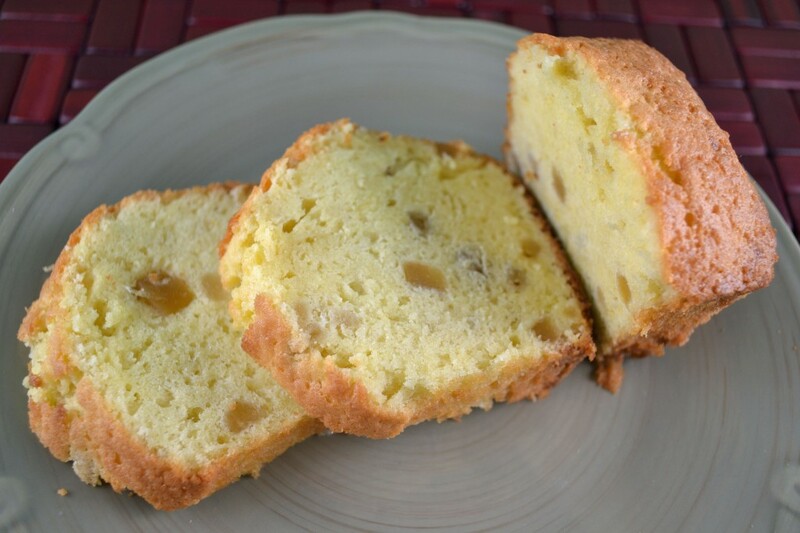 At first glance, pound cake may seem very plain and boring. 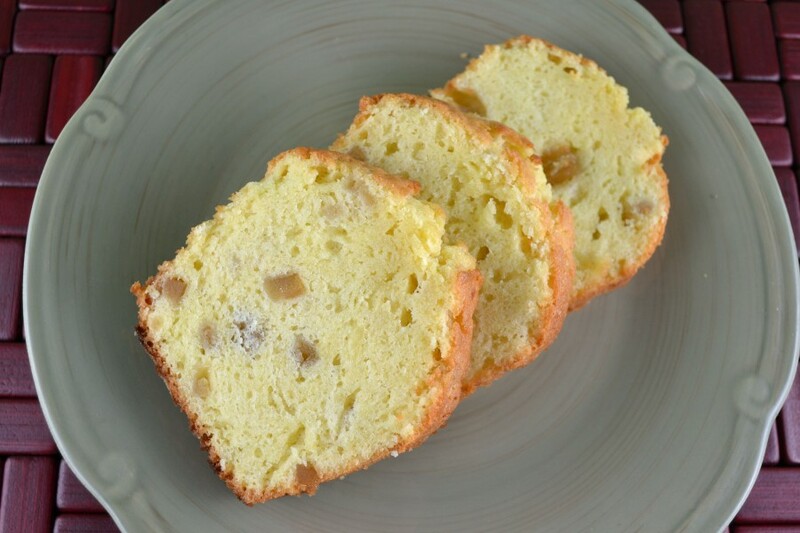 Even this ginger poundcake version may seem to lack the excitement of todays elaborate desserts. Thoughts of that dry crumbly cellophane covered mess at the corner deli might even come to mind at just the mention of simple pound cake. So let’s change that. I too, was less than enthusiastic to make just pound cake (flavored or not). However, I knew there had to be a reason my grandmother included both two mixing methods as well as five different versions in “The Art of Fine Baking.” Also, out of all the memories my father has of her wonderful baking, he has described few as a “phase” like pound cake. Golden brown, light but substantial cakes coming out of the oven one after another until the perfect recipe emerged. With a moderate amount of sugar, and eggs beaten until thick or stiff (depending on the mixing method), this ginger poundcake has just the right level of sweetness and is fluffy yet still cakey. As the smell of sugar, eggs, and butter began to waft through my kitchen moments before the cake was ready to come out of the oven, I knew my opinion of pound cake would soon change. Preheat oven to 350 degrees. Grease a deep 9-inch tube pan and dust with flour. Combine candied ginger and cognac or rum. Let stand for 20 minutes. Drain excess liquid and toss ginger with 1 cup flour. Separate egg yolks and whites. Cream butter with 1/4 cup sugar until light and fluffy. Add egg yolks one at a time, beating well after each addition. Add a pinch salt to egg whites and beat until egg whites hold soft peaks. Add remaining sugar, a tablespoon at a time, beating well after each addition for at least 5 minutes, or until egg whites are very firm. Fold 1/4 of stiffly beaten egg whites thoroughly into creamed butter-sugar-egg yolk mixture. Pour mixture back on top of remaining egg whites. Fold gently together while sprinkling in flour and candied ginger mixed with flour. Be careful not to over mix. Pour batter into prepared pan. Bake about 50 minutes or until cake is golden brown and pulls away from the sides.